Discover our range of standard and specialised blast cabinets. 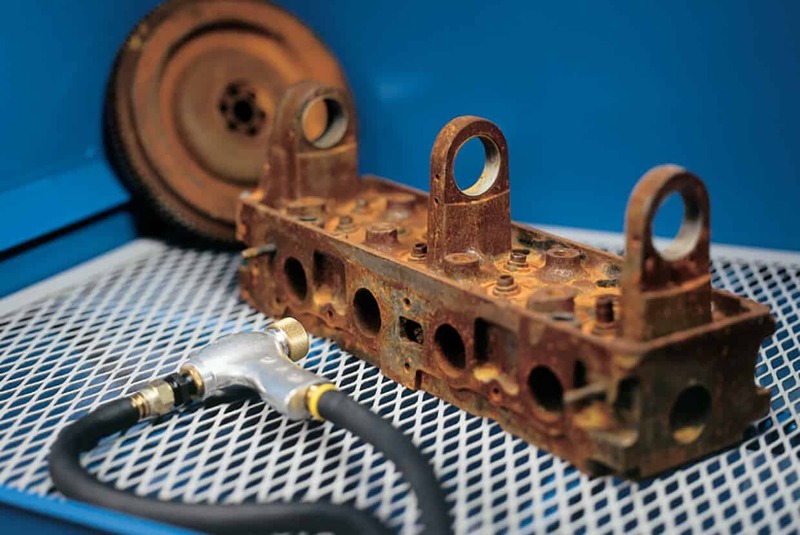 Airblast Eurospray offers a range of pressure and suction blast solutions. These include direct suction, direct pressure, and wheel blasting options, each of which is suited to a different application and workflow. And if you don’t find exactly what you’re looking for, remember that we are also able to offer bespoke cabinet solutions made to your exact requirements. The Ergotech range of blast cabinets is available in three distinct types, each of which is suited to a particular task. We can help you to understand the strengths of each type and to decide which is right for your requirements. Our Direct Suction Blast Cabinets work by pulling media into the airstream through to the gun and are suitable for low pressure and intermittent use. 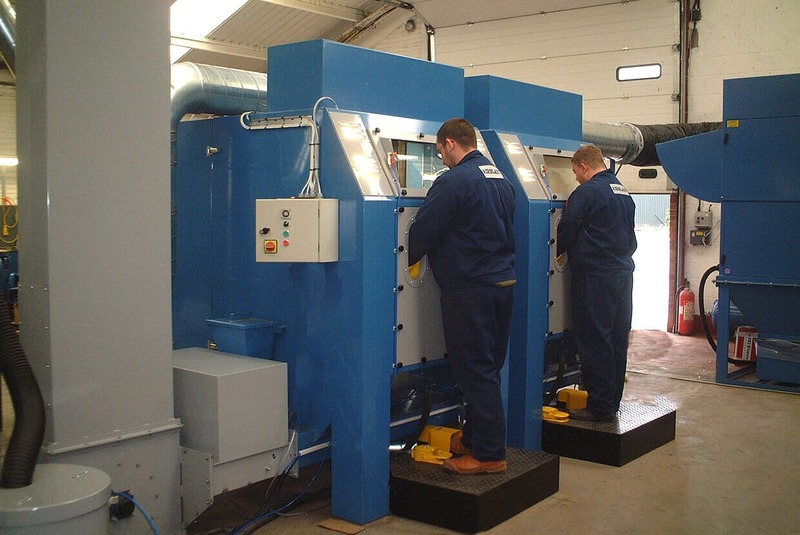 Suction cabinets suit a wide variety of blasting applications and require less air to run than other models. Our Direct Pressure Blast Cabinets are ideal for heavy use, such as removing tough corrosion or coating and processing larger areas. The direct pressure cabinet can be used with either a 7.5ltr blast pot, a 30ltr pot or, for particularly arduous applications, a 70ltr blast machine and cyclone unit. Finally, our Wheel Blast Cabinets are specifically designed to process wheels quickly and effortlessly, leaving them ready for coating. This cabinet features heavy duty wheel support and has an integral dust extraction system to remove airborne particles for better visibility. All three of our blast cabinets are constructed in such a way that, with upgrade kits available from our stock, each cabinet can be converted from one format to another if your blasting requirements change. However, if none of these precisely fits your needs, we can also offer bespoke blast cabinets to meet your exact requirements. For more information on any of our blast cabinets, please view our product pages or get in touch to discuss your requirements. When a standard cabinet will not fit the bill, we are able to create bespoke units. 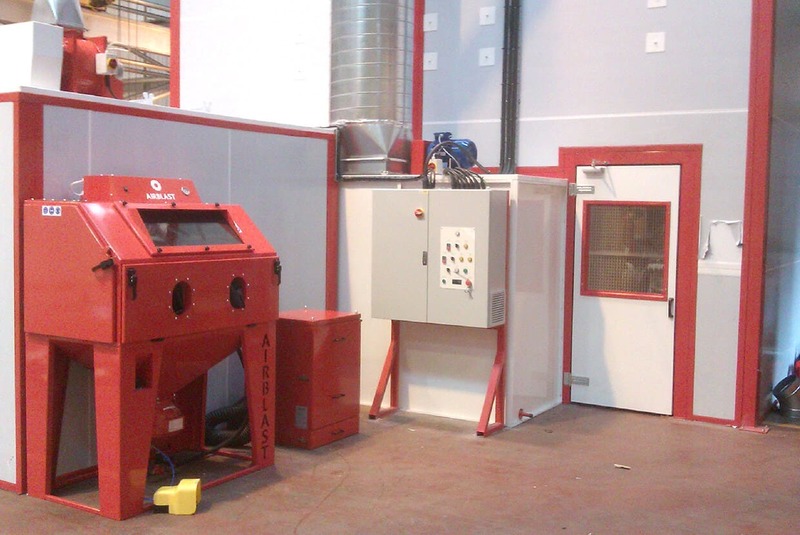 Do you need a fully or partly automated blast cabinet? Or perhaps one built to specific dimensions? 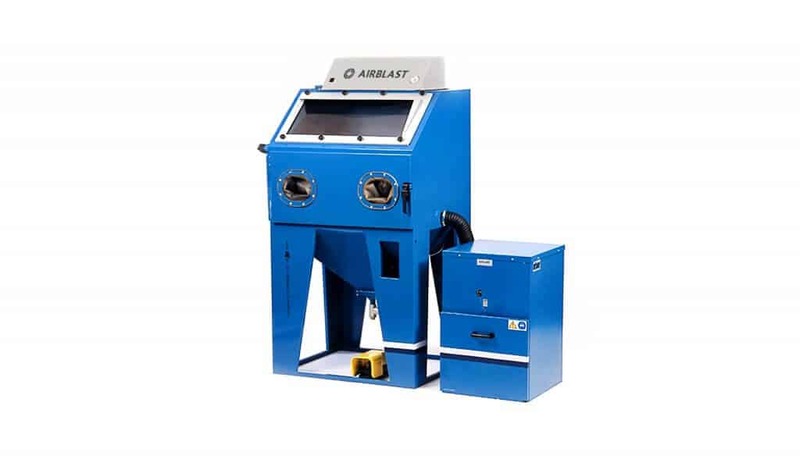 Whatever you need, you can rest assured that Airblast supplies its clients with the custom blast cabinets they need to get the job done. We have even helped a fashion design firm to automate the process of creating “distressed-look” jeans using a blast cabinet. The possibilities are endless, so be sure to get in touch to discuss your requirements with one of our experts. 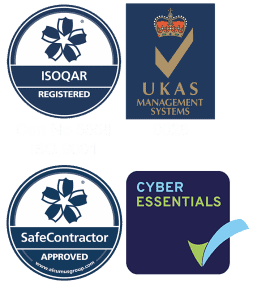 If you’re unsure which of these will best suit your requirements, please get in touch via our Contact page. Alternatively, call our sales team on +44 (0)1778 560 650 and they will be happy to advise you. The Ergotech 850 Direct Suction Cabinet is ideally suited to low pressure or intermittent use. The Ergotech 850 Direct Pressure Cabinet is the blast cabinet of choice for more arduous production scenarios. 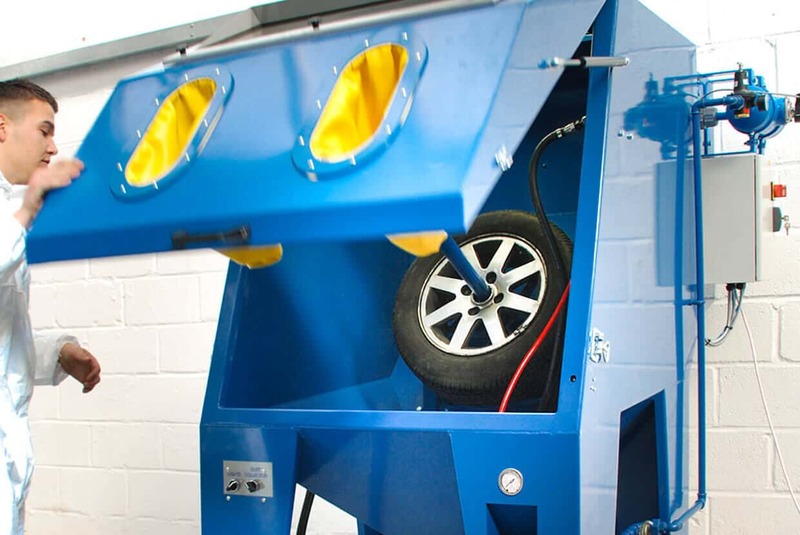 Wheel Blasting Cabinets are purpose-built machines offering rapid preparation of wheels prior to re-coating.